Sunset Beach is a smaller beach in False Creek. It has two sections and has lifeguards during the summer. It is not as busy as English Bay, Second, and Third beaches. There is a concession stand and showers at Sunset Beach. 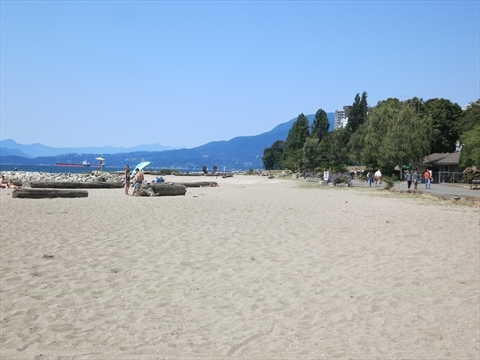 Sunset Beach Park, established in 1959, completed the dream of a continuous strip of public waterfront between Stanley Park and the head of False Creek. Cottages and apartment buildings had lined the water side of Beach Avenue since the city's early years. In 1941, businessman George C. Reifel traded a crucial 198 foot strip of property at the foot of Bute Street to the city for property elsewhere, enablig the plan to move forward. The last building on the waterfront, the 1928 Crystal Pool at the foot of Jervis, was demolished once the Vancouver Aquatic Centre opened in 1974. Where is Sunset Beach in Stanley Park? 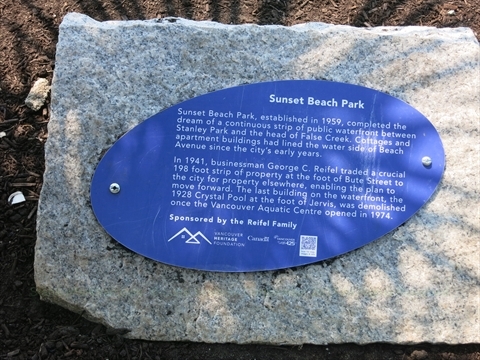 Sunset Beach is located in False Creek at the north end of Thurlow Ave in the Westend. It is next to the Vancouver Aquatic Centre and the Westend False Creek Ferries dock.